A pipe burst. The electrical socket sparked and caught the drapes on fire. 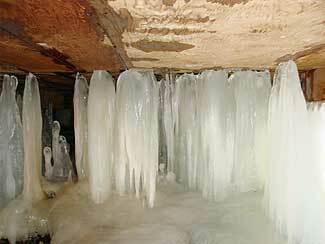 Melting snow in the attic caused water damage and mold is growing everywhere. What do you do now? Many people find themselves facing a home emergency: floods, fires, mold growth, or wind damage, and have no idea where to start to take care of the problem. The basics of what you need to know are to take the following steps. First, protect your family and important belongings. Get them to a safe location. 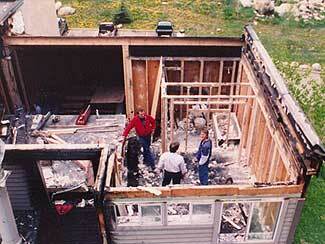 Secondly, locate and contact an experienced restoration company. They will be able to steer you through what happens next, including helping you with the insurance claims and starting the cleaning process. Photograph the damage as soon as you can; this will aid in the filing of your claim with the insurance agency. Third, determine if your home is safe to stay in. If it isn’t, you will need to make arrangements for a place to stay. You will need to get the power and water turned off to stop further damage. In a case of flooding, the most important thing is to get the standing water out of the building, because within 48 hours mold will begin to grow. This is where a restoration company, such as KW Construction and Restoration, can come in handy. With industry trained employees and equipment ready to go at a moment’s notice, you’re disaster can be minimized and cleaned up right the first time. 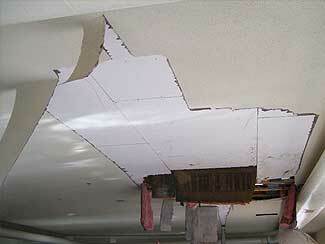 Proper drying is instrumental in avoiding future mold growth and structural damage. Once all of this is completed, you can inspect the property and damage with your agent to begin filing your claim. When choosing a restoration company, keep in mind that they should specialize in flood, fire, mold, wind damage and natural disasters. Check that they are certified through The IICRC (Institute of Inspection Cleaning and Restoration Certification), or other nationally accepted certifications for cleaning and restoration. Make sure the company is licensed, bonded, and insured in your state. Do not sign a contract unless you have an estimate price and materials, what will be done and what equipment will be used. Research the company, read reviews or references, and ask locally about the company’s work. No one wants to experience a home disaster, but if you take the time to be prepared and follow these steps, the situation can be taken care of properly and quickly. Getting your home or property back to normal should be your restoration company’s main goal, so that you can get your life back to normal as well.